The Hitchhikers Guide to the Galaxy claims that the Babel fish is the oddest creature in the universe. Its is a small, yellow, leech-like creature that feeds on brain wave energy. When inserted into the ear, it absorbs all unconscious frequencies and then provides a telepathic matrix formed from the nerve signals from the speech center of your brain. Once inserted, you can immediately understand any spoken language in the universe. The only problem: the Babel fish doesnt really exist. Until now, that is. Voxox Text Message Translation (a far less invasive solution!) allows you to break down communication barriers. 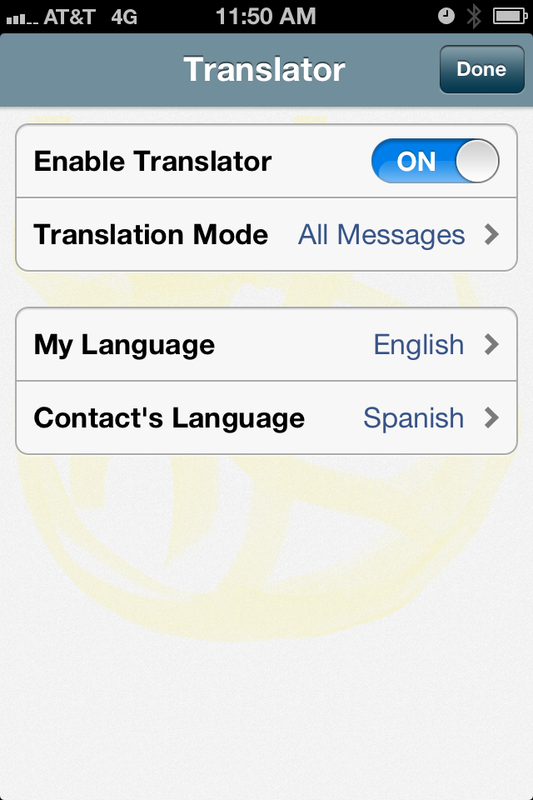 Following a simple setup, it instantly converts a text message (sent or received) to the language of your choice. Best of all, its already built into your Voxox app. From the Messages screen, tap on a conversation. This will take you to the Conversation screen. On the Conversation screen, tap the Translate button at the middle top. Next, select your preferred translation mode. 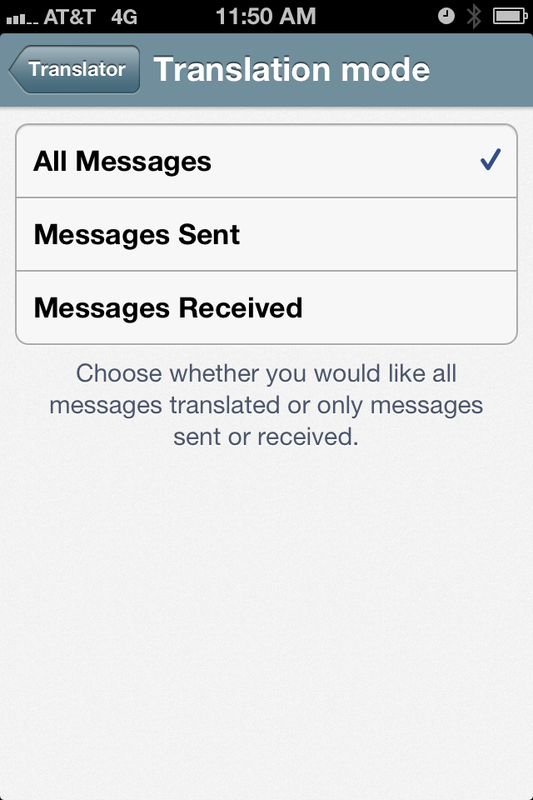 Choose whether you would like to translate all messages, only messages sent, or only messages received. Messages in that conversation, regardless of the language the contact is using, arrive in your own language. When you respond, the contact receives your message in their own language. Its so seamless, you wont even notice that the person is communicating in a different tongue. The use cases are endless! When you pull back the curtain, you see how powerful Voxox Text Message Translation really is. Currently, it supports nearly 50 languages, from Afrikaans to Welsh. You can say Hello to your client in Burundi (who receives it as Hujambo), and not even have to think about it. Its engine uses corpus (real-world) and statistical translation techniques, rather than the simple word-for-word substitution of some lower-quality translators. In this way, Voxox Text Message Translation recognizes whole phrases and their nearest counterparts in the target language. In the end, you get a robust text translation utility that handles linguistic typology (or structural similarities), idiom matching (such as Fred kicked the bucket) and anomaly isolation. Naturally, the best results will be achieved by simpler, idiom-free sentences. Its important to remember that the Text Message Translation from Voxox is conversation-based and is neither time-dependent nor contact-persistent. This means that no matter how much time passes between the next interaction with your client in Mexico City, if you have not deleted the last conversation, then Voxox Text Message Translation will remain at the prior settings for that conversation. If, for whatever reason, you decide to delete your previous conversation with that contact, then you may need to reset the target language to Spanish. The translation settings are anchored to each conversation. Text Message Translation from Voxox is powerful, yet simple. You can set them up with just a few taps on your phone and, once set, Voxox continues to translate your text messages for the lifetime of the conversation, or until you decide to change them yourself. And it doesnt involve a small, yellow, alien parasite.